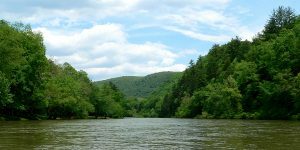 West Virginia has a large mass of land that is largely untouched by mankind. For this reason, in 2009 the United States Congress chose Spice Run Wilderness to be protected under the Wildlife Preservation Legislation of 1964. In the 1960s President Johnson enacted the legislation which was designed to protect designated areas throughout the United States to preserve wildlife and the land as it originally was before mankind impacted it. This area is 6,037 Acres and is managed by the Forest Service of West Virginia. The area is about three and a half miles wide and about 2 miles long. There are no trails or other human imprints on this land. For that reason, anyone who travels there will need to be prepared for a genuine wilderness experience. It is recommended that someone who wants to go hiking or camping in the area either be someone experienced with doing so in the wild, or that brings an experienced guide. The area does have wildlife such as bobcats, some bears and other wildlife that could be dangerous. Of course, there is a wide selection of birds for those who want to participate in bird watching and there is some fishing in certain areas. The purpose of protecting this and other similar land is to maintain it so there is little or no impact on it by mankind. The law defines this land as having primeval influence and character and is protected for the purpose of preserving the natural conditions of the area and to keep man’s imprint as unnoticeable as possible. While the area is maintained by the Forest Service, volunteers play an important role in keeping the area intact as a wilderness. The Forest Service alone could not do everything that is needed and therefore the volunteers are imperative.